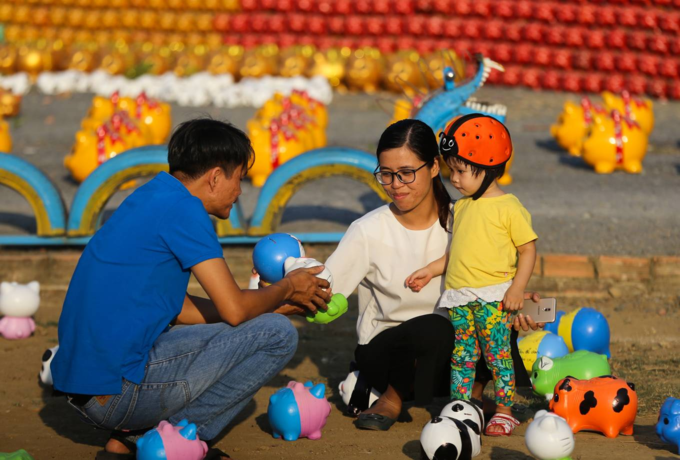 A 1,000 square meter area featuring 4,000 piggybanks in Dong Nai Province is attracting many families with kids during the Lunar New Year holiday. 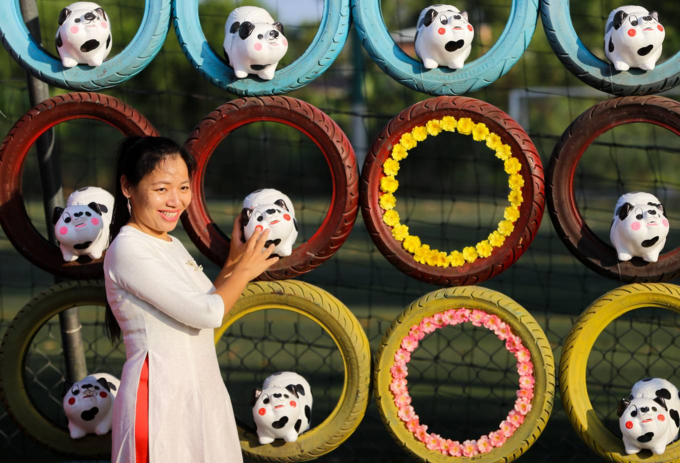 The amusement park, located on D10 street (Thong Nhat ward, Bien Hoa city, the southern province of Dong Nai), has placed the colorful piggybanks at random and in several designs and patterns. 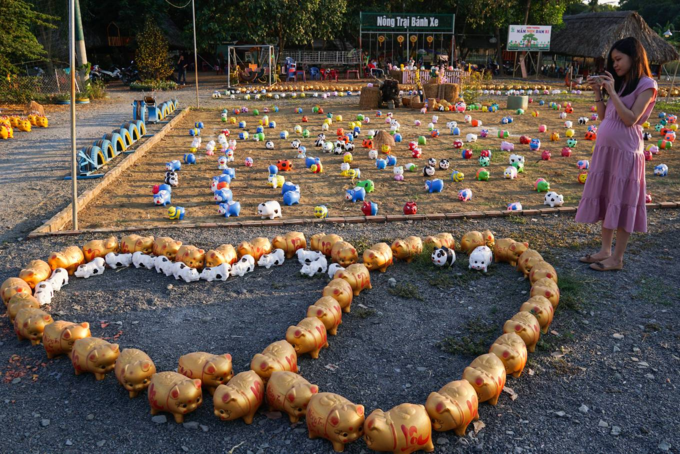 "For the Year of the Pig, I wanted to do something meaningful; so I bought nearly 4,000 piggybanks from workshops in Binh Duong. 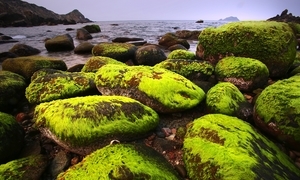 Each has a different shape. 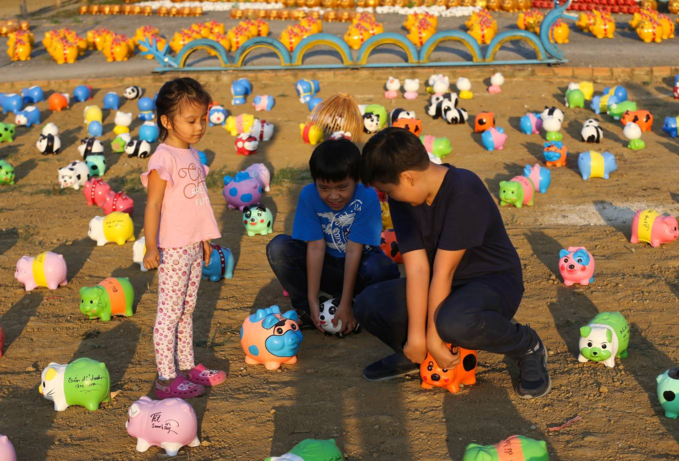 Also, since I was born in the Year of the Pig, I want to celebrate this year for myself too," said Vu Duc Sinh, owner of the amusement park. 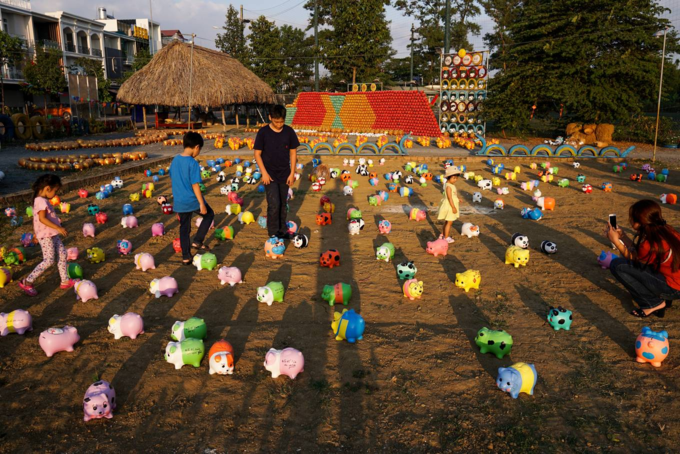 It took 20 days to set up the piggybank playground over an area of 1,000 m2 in the whole tourist area of over 7,000 m2. 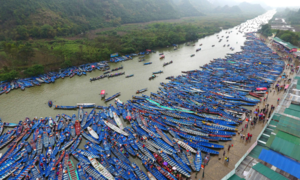 "In the process of transporting and arranging, many pigs were broken," Sinh said. 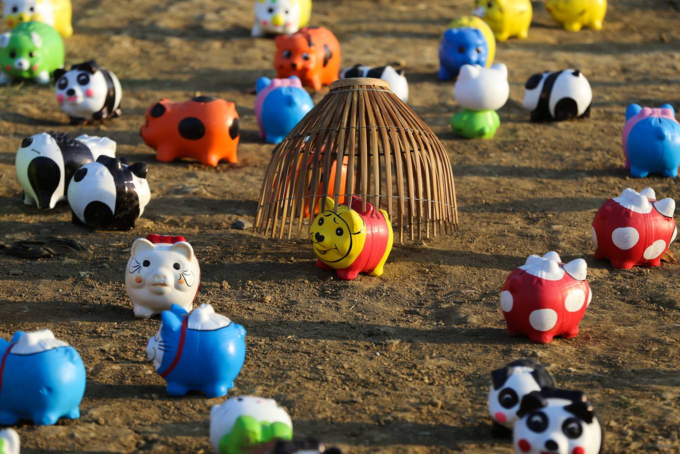 Pigs of all hues and appearances stand scattered in the area. 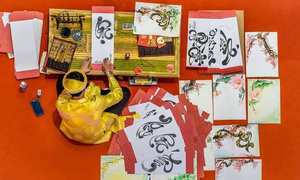 Some carry messages like Savings for Children and Lucky Money for Wife. 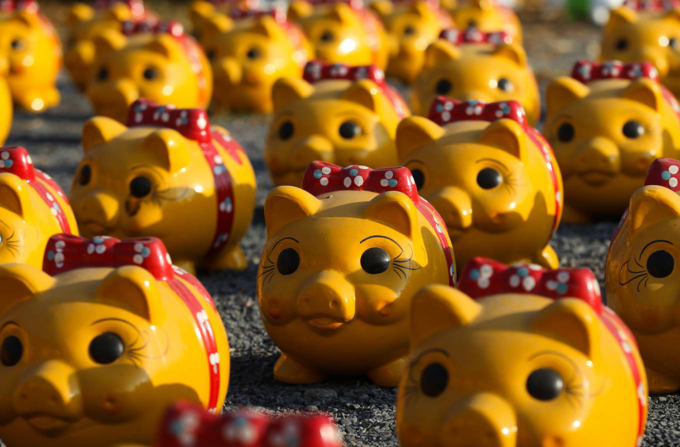 Golden coloured piggybanks arranged in a heart shape. 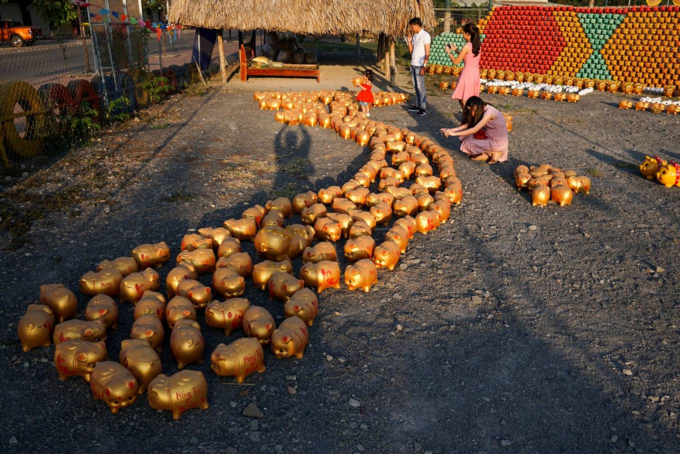 Some golden piggybanks arranged as a Vietnam map, including two archipelagos of Hoang Sa (Paracel) and Truong Sa (Spratly). 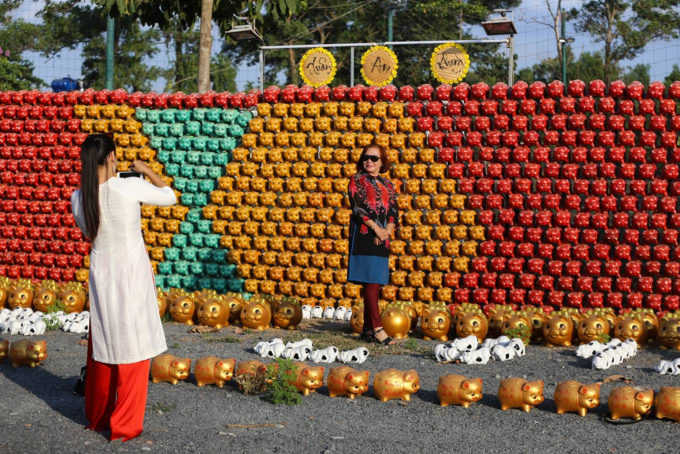 A four-meter high wall of piggybanks serves as a background for photos. 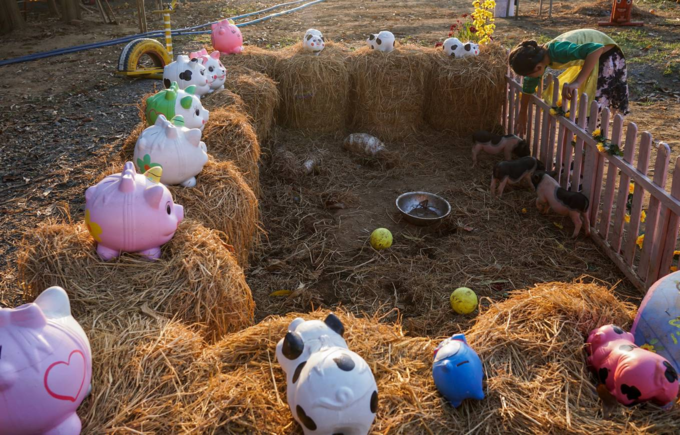 A "stable" with piggybanks and real piglets attracted may children. 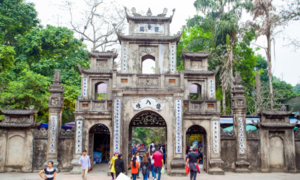 The entrance fee of the amusement park is VND15,000 ($0.65) per person. 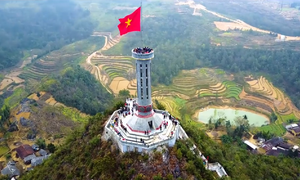 Sinh said the place welcomes from 100 to 200 guests per day. 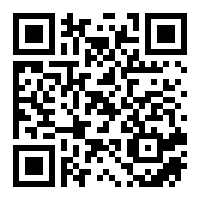 Many families have found it worth their while to have their chidren to the park in sunny spring weather. 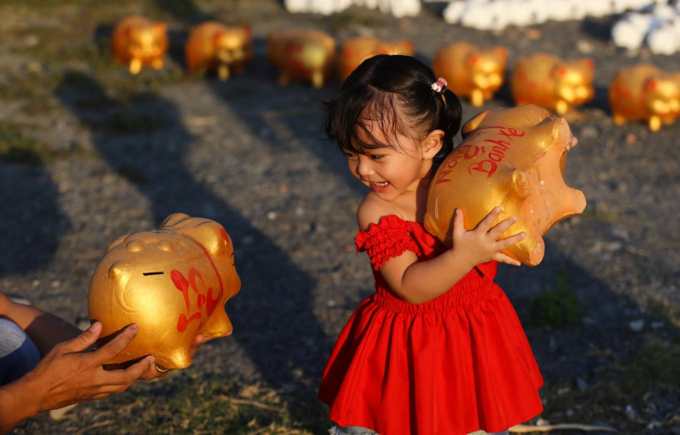 18-month-old Su enjoyed running, carrying dozens of piggybanks. 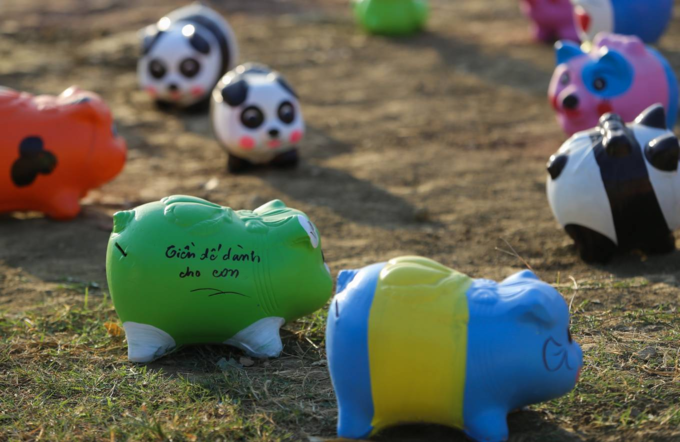 "Even though we have a piggybank for saving lucky money at home, seeing so many pigs in one place makes my daughter very excited. 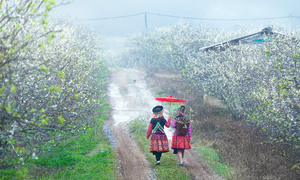 I will buy her a pig that she likes best," said Su's father. 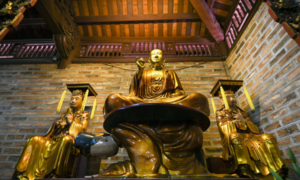 The exhibition area will remain open until the 10th day of the Lunar New Year (Thursday, February 14 on the Gregorian calendar).